More pretty Quilling Flower dies as promised. 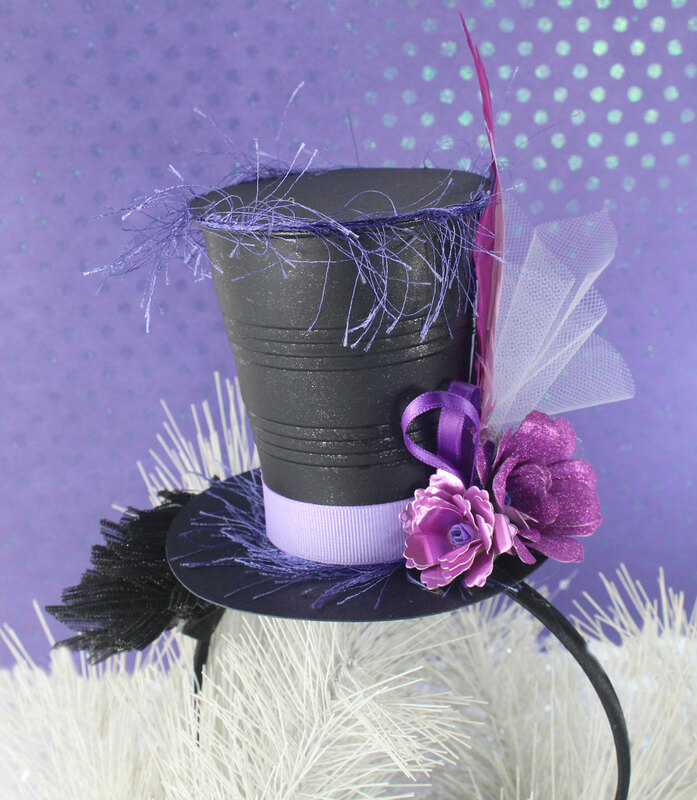 How about a Top Hat on a headband for a festive occasion? Of course I made this one from Luxury Purple cardstock because that is Sara Davis' favorite color. 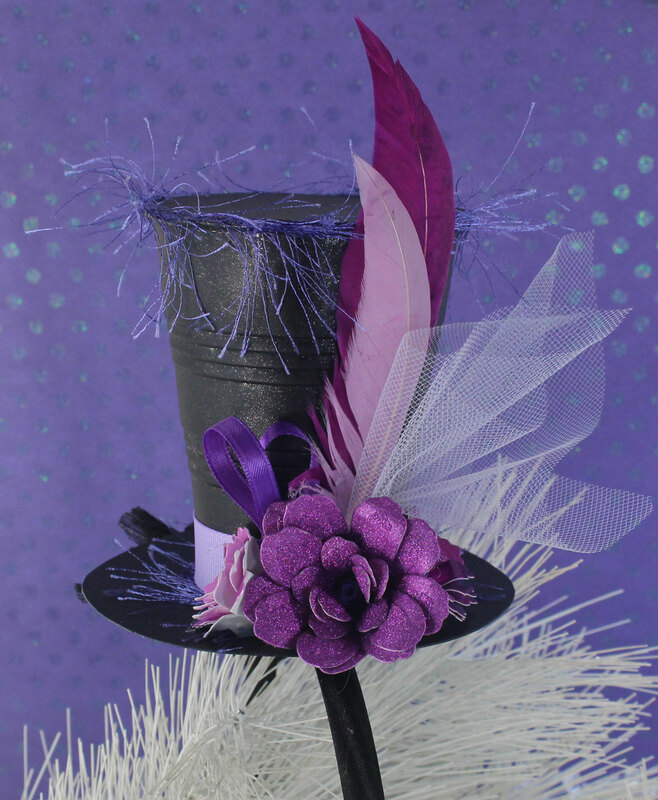 Pretty Tulle, ribbon and feathers complete this look. And no Royal wedding is complete unless your attire includes a lovely hat. Mark your calendars for January 10th. All of these new Quilling Flower dies will be available that day.